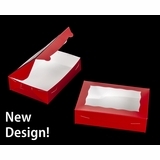 Buy Premium Valentine Cupcake Boxes for Your Seductive Sweets! 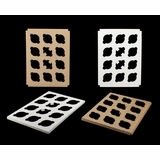 Your cupcake presentation should leave people lovestruck. 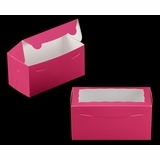 Setting the mood is key and our elegant red and pink boxes create an atmosphere for your cupcakes that makes Cupid's job easy. 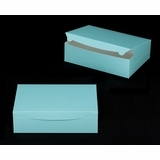 Buy your Valentine cupcake boxes from BRP Box Shop and you will enjoy sumptuous boxes at wholesale pricing. 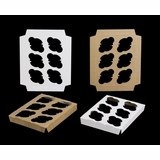 We manufacture and print each cupcake box ourselves, right here in the USA. Save with BRP boxes because you don't pay a middle man (mood killer). 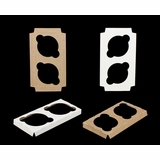 If you live in the Lower 48 states, you get FREE SHIPPING via UPS Ground! 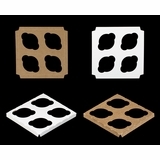 Did that put a spark in your heart? 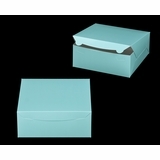 How about the fact that if you order on a work day before Noon, Central Time, your boxes ship the very same day! 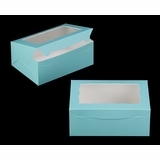 Enhance the allure of your beautiful cupcakes; dress them in an enticing box befitting any cupcake lover's Valentine's Day fantasy. 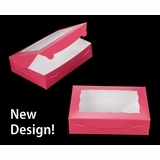 Valentine Cupcake Favor Boxes for a Standard or Jumbo Cupcake - Cupcake Inserts Below. 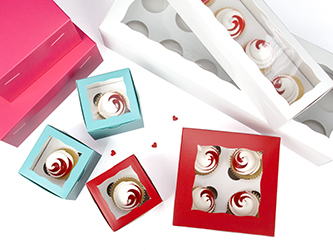 This season of love, give your single cupcake presentation a dose of daring by pairing your delights with a very red cupcake box. 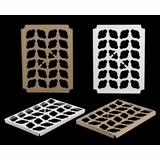 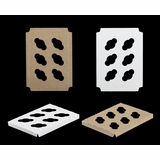 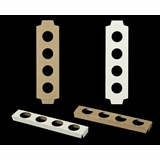 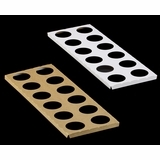 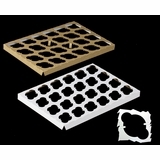 Buy a bespoke insert from below to keep your cupcake center stage. 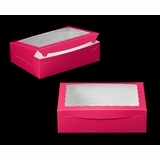 A single satin pink box becomes a fortress of pretty for your individual Valentine cupcake. 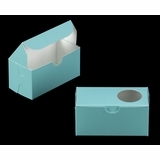 When coupled with an insert, your tempting sweets are kept pristine. 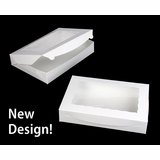 These are windowed for hungry eyes to sneak a peek at the goodies within. 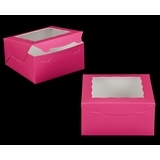 The soft pink finish on these single cupcake boxes makes this cube worthy of any cherub�s curiosity. 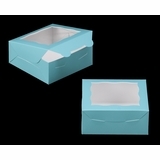 What delights reside inside? 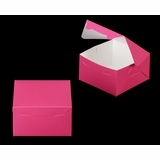 Harness the power of pretty pink packaging to pique the interest of those who love your cupcakes. 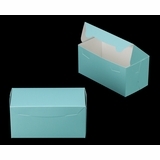 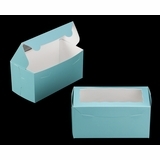 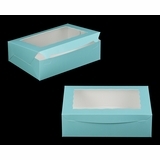 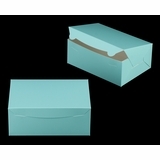 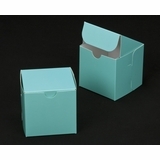 Beckon cupcake lovers with the cool hue of this satin blue single cupcake box. 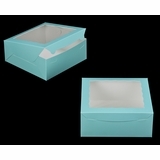 The crystal clear window invites every gaze to glimpse your perfectly prepared Valentine works of love. 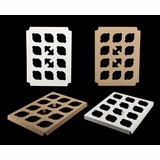 What frosted enchantments wait within? 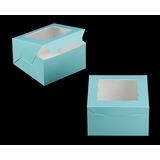 The opulent appeal of a single diamond blue cupcake box exhibits the perfect measure of elegance to entice any Valentine. 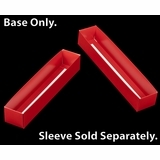 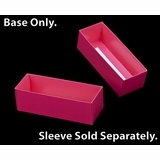 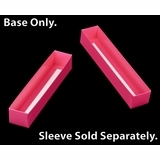 2 Count Valentine Cupcake Boxes for Standard or Jumbo Cupcakes - Cupcake Inserts Below. 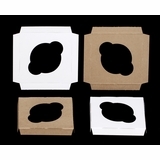 4 Count Valentine Cupcake Boxes for Standard Cupcakes - Cupcake Inserts Below. 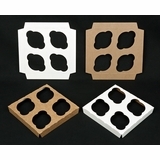 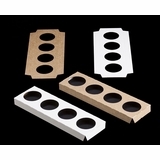 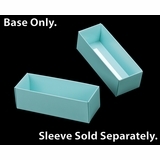 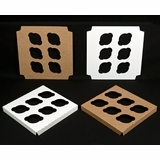 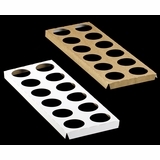 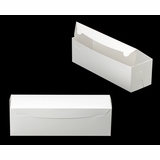 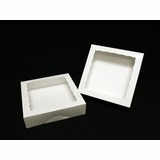 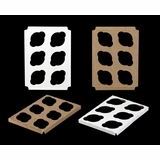 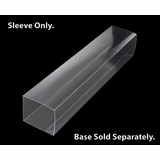 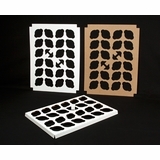 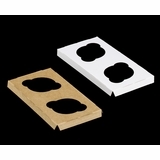 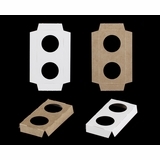 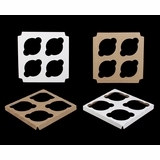 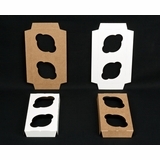 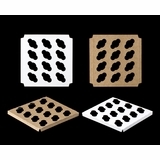 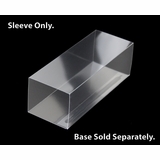 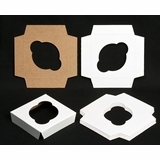 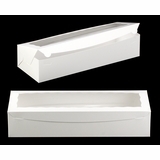 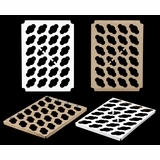 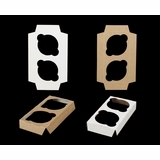 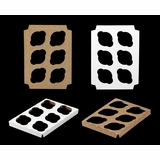 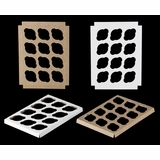 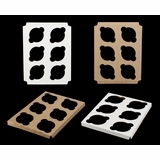 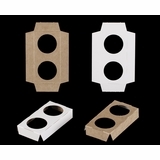 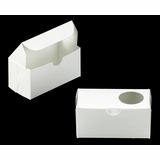 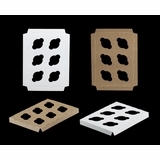 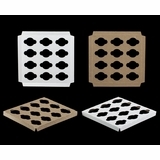 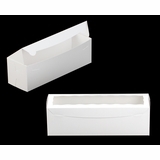 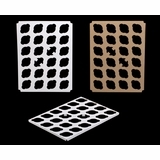 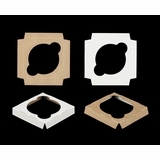 Straight 4 Count Cupcake Boxes for Standard Cupcakes - Cupcake Insert Below. 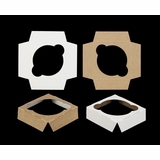 4 Count Valentine Cupcake Boxes for Jumbo Cupcakes - Cupcake Inserts Below. 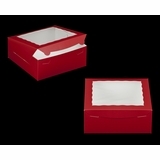 6 Count Valentine Cupcake Boxes for Standard Cupcakes - Cupcake Inserts Below. 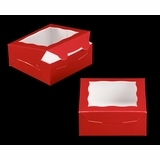 6 Count Valentine Cupcake Boxes for Jumbo Cupcakes - Cupcake Inserts Below. 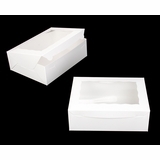 12 Count Valentine Cupcake Boxes for Standard Cupcakes - Cupcake Inserts Below. 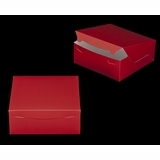 12 Count, Long Valentine Cupcake Boxes for Standard Cupcakes - Cupcake Inserts Below. 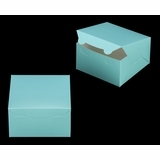 12 Count Valentine Cupcake Boxes for Jumbo Cupcakes - Cupcake Inserts Below. 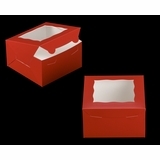 24 Count Valentine Cupcake Boxes for Standard Cupcakes - Cupcake Inserts Below. 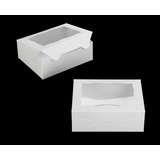 2 Count Valentine Cupcake Boxes for Mini Cupcakes - Cupcake Inserts Below. 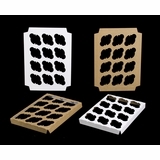 2 Count Valentine Cupcake Favors for Mini Cupcakes - Cupcake Inserts and Clear Sleeve Below. 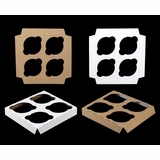 3553 - 6" x 2 1/4" x 2"
4 Count Valentine Cupcake Boxes for Mini Cupcakes - Cupcake Inserts Below. 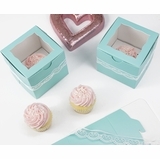 4 Count Valentine Cupcake Favors for Mini Cupcakes - Cupcake Inserts and Clear Sleeve Below. 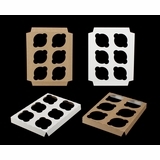 3554 - 12" x 2 1/4" x 2"
6 Count Valentine Cupcake Boxes for Mini Cupcakes - Cupcake Insert Below. 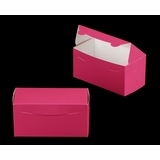 6 Count Valentine Cupcake Boxes for Mini Cupcakes - Cupcake Inserts Below. 12 Count Valentine Cupcake Boxes for Mini Cupcakes - Cupcake Insert Below. 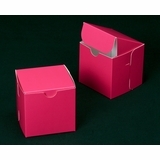 12 Count Valentine Cupcake Boxes for Mini Cupcakes - Cupcake Inserts Below. 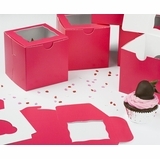 24 Count Valentine Cupcake Boxes for Mini Cupcakes - Cupcake Inserts Below.